It's Thrifty Thursday again, oh yay! If you're a new reader here is the low down. Sandra from Anchors and Honey and myself host this link party twice a month for all of our fellow thrift store junkies to show off our finds. If you are unprepared or new to the game you can link up past post that showed off some of your goodies! Then jump around and see everyone's awesome stuff! It can be clothing, books, housewares, ect. anything you've thrifted is alright with us! 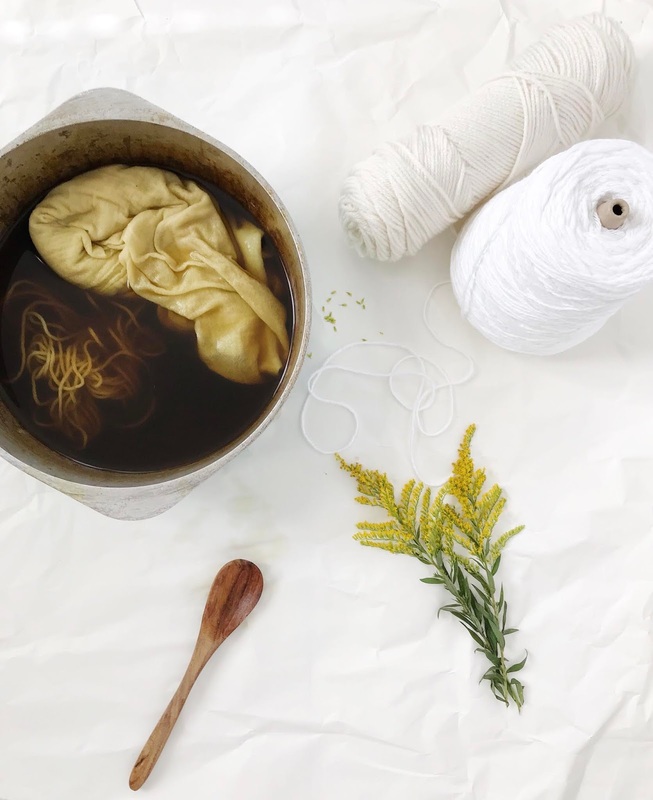 Last time we linked up I mentioned that I was in a thrift slump, well guys, some how I miraculously found a cure and went overboard the last couple of weeks! I hopped around Craigslist, Goodwill, thrift shops, and even did a few trades via Instagram and wound up with so many amazing items! I decided just to show off the small house ware items because I'm leaving my three furniture hauls a mystery until we get them into the house and you can see them in all of their glory. A little hint, I went MCM crazy! I've been mainly thrifting for Pyrex since my vintage store is on hiatus and my husband says I have enough glasses and dishes to serve a dinner party of 100, such a party pooper. Here are some of my latest treasures! 1.// I went butterprint wild and even found an orange butterprint for a steal. 2.// I love this bluebird piece with the original cradle and lid. Guess what guys, original box too! All my Pyrex hoarders know how exciting that is. 3.// I scoured this beautiful floral Mikasa set at goodwill, I feel like I need to have a tea party now. 4.// I ran across this beautiful flamingo pink and two yellow hostess bowls, now I just need to start my aqua stash! 5.// These beauties came from an insta-trade and I'm so happy it was so smooth and successful for both of us! You can never have enough friendship Pyrex, and this one even has the printed lid! 6.// Fridgie heaven! 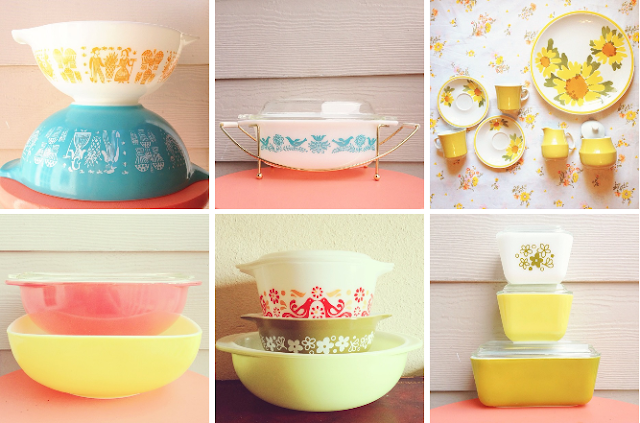 OH my goodness, all this Pyrex is beautiful! You certainly have been scoring! I have been doing okay on the clothing front, but I have just haven't been thrifting any good dishware lately - last summer I had gotten so much Pyrex and Melmac! Hope that slump changes soon! These are all so cute! ♥ I love the flowery set.